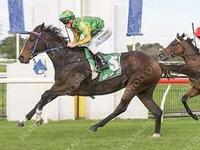 Twinx roared away with her final race for this prep with a dominant win at Moruya over 2010 metres. The race had four equal favourites, and she put them to the sword.Home now for a well earned 10 week spell to remodel those bones then back in November for another go! 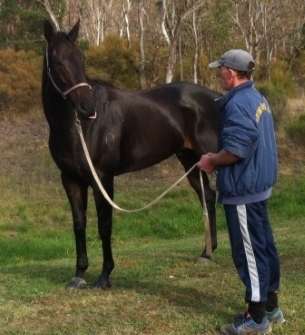 After knocking on the door all prep with multiple placings, Isadora Twinke (Twinx) won her maiden in fine style at Moruya yesterday, going away from the field in the last 100m with her ears pricked. 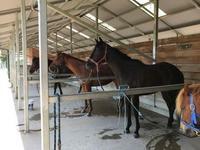 Designer Dance had her first trial at Goulburn yesterday. Settling off the speed she was carted wide in the straight, but made up nice ground late to finish 3rd, half a length from the winner in a very fast time. 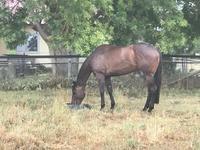 After a big prep at Goulburn, Azkaban has come home for her 10 week spell. She now understands galloping and barriers and got the thumbs up from her riders so her next prep should be the charm. As of the 1st of August we are focusing on spelling rather than training. 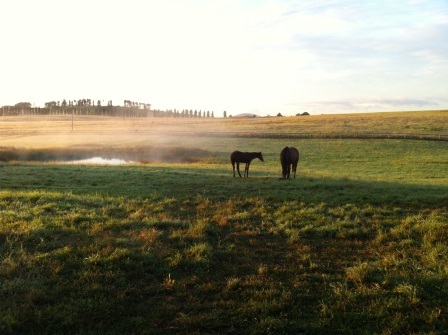 We have a great setup here for the weary racehorse and can offer them the best of care. 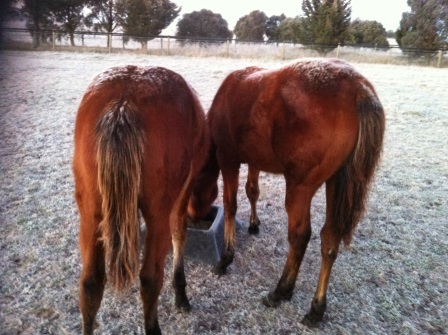 A good looking team in the tie ups at Goulburn after a morning gallop. From left to right:Lady Juliana, Fairy Beast, Isadora Twinkle and Razz the pony.